about us – Since 1946. Three Generations of Construction Excellence. A Brief History … The story of Talsma Builders, Inc. begins long before the year 1946. Back in the early 1900’s when Nicholas Talsma, a carpenter by trade, immigrated to this country from the Netherlands. In the United States, he continued to practice his trade which was dutifully learned by his young son Sidney. After serving his apprenticeship with his dad, Sidney carried on what was to become the family trade and tradition, carpentry. Sidney in turn had three sons; Arthur, Kenneth and Sidney Jr., each in turn learned the carpentry trade and business from their father. Shortly after the end of World War II, the brothers, having returned from active duty in the Navy, decided with their experience and knowledge, it would be beneficial to start their own business. In 1946, father Sidney and sons; Arthur and Sidney Jr. founded ‘Sidney Talsma and Sons’. One year later, they were joined by brother Kenneth. Their first office was located in Arthur’s home at 10740 S. Trumbull Avenue in Chicago, IL. In 1953, Talsma was growing and so it was decided to move the ‘home office’ to a larger location, a place to serve as the new headquarters of Sidney Talsma and Sons. In 1959, for reasons of simplification, Sidney Talsma and Sons was re-branded, changing the name to Talsma Builders, Inc. 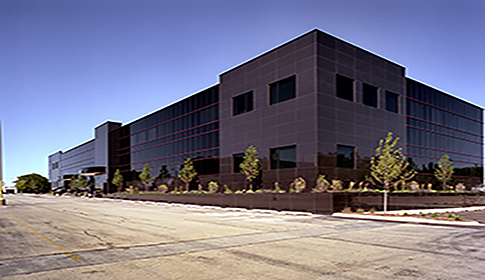 In November of 1967, with business improving, Talsma Builders, Inc. moved into their present location at 12642 S. Springfield Avenue in Alsip, IL. Present Day … Kenneth S. Talsma is President and Owner of Talsma Builders, Inc., holding this position since 1995. Kenneth represents the third generation of Talsma’s to be actively involved with the trades and day-to-day operation of the company. The dedication and pride that founded the company back in 1946 is still present today. This pride is translated into a policy of quality craftsmanship and service excellence, expressed in each and every project undertaken by Talsma Builders, Inc. We have established a record throughout the years based on dependability, on-time scheduling, meeting deadlines and satisfied customers. Our vast years of experience and expertise has allowed Talsma Builders, Inc. to tackle a great variety of building projects ranging from residential to churches, highly sophisticated medical facilities, school campuses, etc., for industries with specialized engagements including vast commercial training facilities and complex sewage treatment plants. Our broad range of undertakings enables us to knowledgeably handle just about any type of project large or small. Union Affiliations … Talsma Builders, Inc. has been in partnership with the trade unions since the 1940’s. As the requirements of various projects have dictated over those years, Talsma Builders, Inc. has employed union tradesmen from multibase AFL-CIO locals.